Below is the memorial to the King's Liverpool Regiment, it can be found along with many other memorials in St. John's Gardens in the city centre. I have always been very impressed by the city's determination to honour their citizens for their efforts in conflict and adversity, for this they should be very proud. The Burma Star Association (kind thanks to Phil Crawley). PegasusArchive (thanks to Mark Hickman). Special Forces Roll of Honour (many thanks to John Robertson). Chindits Special Force 1942-44 (thanks to Frank Young). FEPOW Community (thanks go to Ron Taylor). Centre for Research/Allied POW's of the Japanese (thanks always Roger). HG Lambert a Soldier with the Chindits (thanks to Ian Lambert). The Anglo-Burmese Library. A website devoted to the history of the Anglo-Burmese community and their experiences. 'For Your Tomorrow', a more than worthy first hand account of the Burma Campaign, given by some of the men who took part in the fighting. Steve Fogden at Maymyo 2008. I'd like to thank a few people for putting up with or helping me with this website and all the many hours of research it has taken to compile. Firstly, to all my family for managing to stay sane and show incredible patience as I went on and on about my Chindit boys. Thank you massively. Marc Fogden, for so many things. 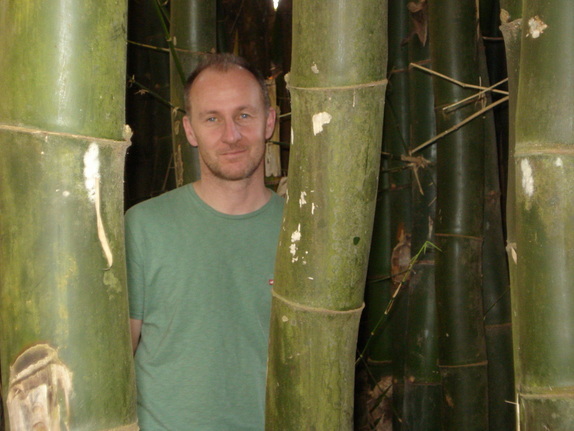 Photo is of your host in Burma in 2008. When they wrote that they had to hack their way through thick swathes of bamboo, come back and look at this image and realize what that truly meant. (Photo courtesy Marc Fogden). Steve Fogden in the Irrawaddy at Myitkhina. 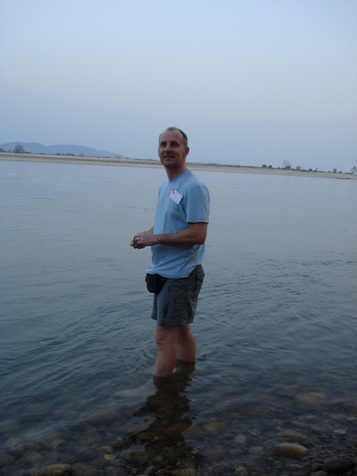 It took me about five minutes to get myself into the Irrawaddy River in 2008, here just south of Myitkhina and much to the dismay of our group doctor, she was concerned about me contracting bilharzia. This was a special and emotional moment for me, mainly I think because this river was the last and insurmountable obstacle for so many of the Chindits in 1943. Yvonne Baxter (in memory of her father Jim Baxter, also a Burma veteran). All on the WW2Talk Forum, especially the SEAC group, Simon, Jason, Enes, Andrew, Eddie, Ken, Phil, Steven, Alberto, John C. and Peter. Many of the maps used on this website appear "Courtesy of the University of Texas Libraries, The University of Texas at Austin." Special thanks go to six veterans of the Burma Campaign who are sadly no longer with us, but who have been a wonderful source of information and help along the way. Denis Gudgeon, Jack Lindo, Alec Gibson, Jack Osborne, 'Aussie' Graves and Neville Hogan. To everyone who has ever contacted me, advised me or directed me to another source of information and especially to all the Chindit families, many many thanks.